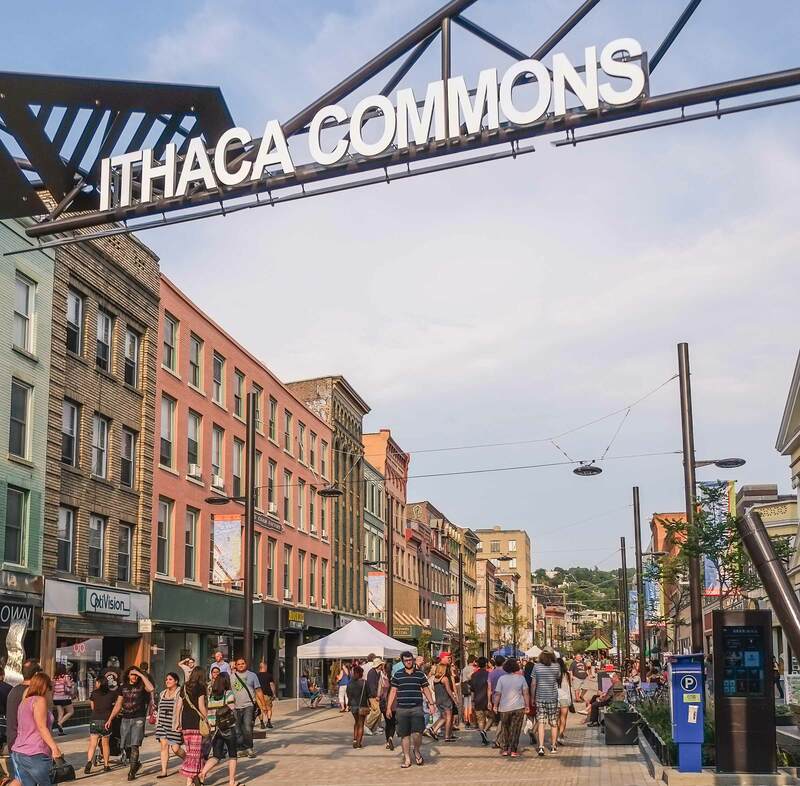 Downtown Ithaca maintains a list of available office vacancies in the downtown area at any given time. These listings are generally summaries of the availability. If you are interested in leasing a space, please get in touch with the developer or property manager listed alongside the available space specs. Ithaca’s newest professional office suites- modern mixed with deco. Three separate offices for rent. Could be divided as 2 office suite and one separate office. Shared services with Shaw & Murphy law firm if desired. Entire building available April 1 just steps from the Commons. Six rooms available on the ground floor with washroom and kitchenette. 1500 square feet. Handicapped accessible. Three parking spaces go with the property. Also available on the second floor, 3 offices with washroom. 900 square feet. Available for rent June 1st, this modern open floor plan office on the Ithaca Commons speaks sophistication and class. 1700 SF. Meeting room with French doors: seats 8 comfortably. Lounge area. Private office with locking door. Ensuite bathroom. Large storage closet with built-in floor to ceiling shelving. Nitro coffee & beer/wine/cider taps at the bar. Three Glowy boards. $2500 per month, includes utilities – electric , water, heat, A/C. Fiber optic service available. Call Peter for to schedule a tour. Mixed use building, half block from the Commons with commercial space on the first floor and 16 separate offices on the upper floors. Various tenant mix of startups, business owners and entrepreneurs. Large windows and center stairway skylight provide a bright natural light in all offices. Six separate offices available, some with their own kitchenette and bathroom. 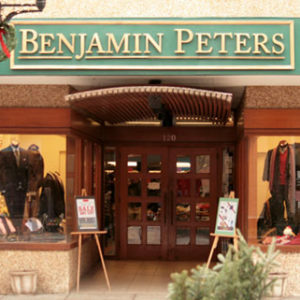 Sizes available include: 400sf, 480sf, 480sf, 1200sf, 1200sf, 1200sf. Various layouts and configurations available. Annual rate: pricing depends on space/terms, all include heat, electric and AC. No proration of taxes or insurance. 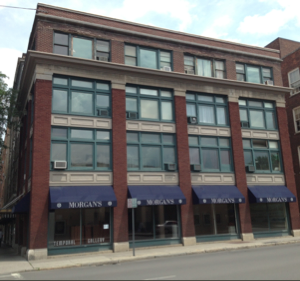 Located one block from the Ithaca Commons, two parking garages, and the city’s famous food trucks, the Donovan Building offers a convenient working environment — both inside and outside the office. One of the building’s biggest draws is its signage advertising opportunity. 28 windows face the intersection of Green and S. Cayuga, a prime spot for business branding and signs. 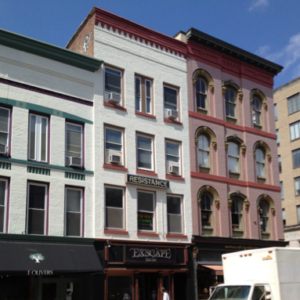 The City of Ithaca estimates that, on average, 7.2K vehicles travel along Greene St. past the Donovan Building each day. Office and studio spaces range from $575/month to $3,946/month, depending on square footage. For rental inquiries, submit the online form or call Cathleen Donovan directly. 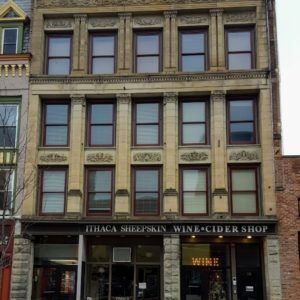 Center Ithaca – 171 E. State St.
Office and retail spaces available. 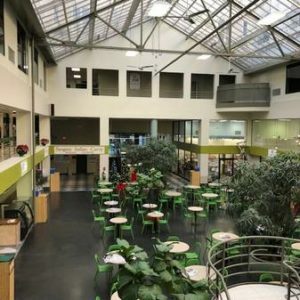 Description: Quiet, clean and bright office space shared with the other tenant, Concept Systems, Inc., include: kitchenette, bathroom, secured entrances. 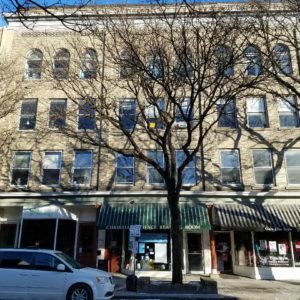 1-3 offices available in this mixed use building. Annual Rate: Pricing depends on space configuration and includes a private entrance, heat/AC, taxes, electric, water and basic cleaning service. Does not include phone or WiFi. 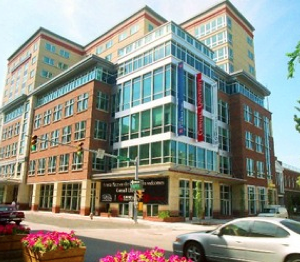 Description: High-end office space in Seneca Place. Includes reception area and individual offices. Elevator in building. Across from the Ithaca Commons and Seneca Street Parking Garage. Space is on fifth floor of the building and has a scenic view. Annual Rate: $22.00 per square foot; does not include utilities or cleaning. Description: Office spaces on second floor. Building has an elevator and is located one block from the Ithaca Commons. 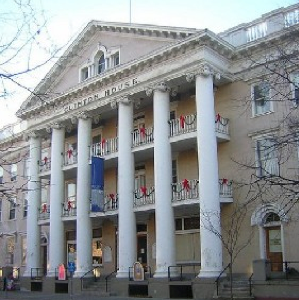 Clinton House is a historic building. Suite 201, 1137 sq. ft.
Suite 303-B 148 sq. ft.
Suite 303-C 148 sq. ft.
Second floor property on the Ithaca Commons. A former salon, it is located above Exscape Smoke Shop.